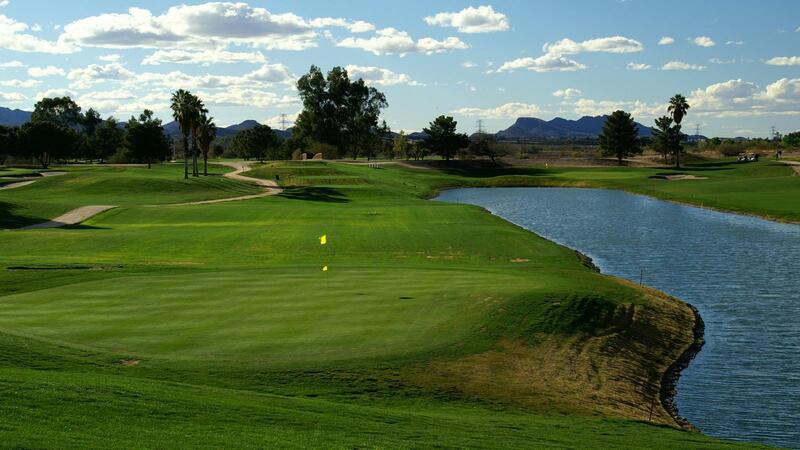 Silverbell Golf Course is a championship layout located high upon the west bank of the Santa Cruz River. The course features wide undulating fairways that meander among stands of mature pine trees, strategically placed bunkers, and two large lakes that come in to play on five holes. The remarkable varieties of holes challenge a golfer’s skill for both power and finesse. A par 70 golf course consisting of five par 3’s and three par 5’s of varying lengths and strategies will test and excite golfers of all abilities from beginner to professional. The back tees measure 6,900 yards, and the forward tees are over 5,800.